Bert is creating a prototype for a smart agent that we're developing in another internship project. So far his progress is going strong and steady. Camera-shy-Bert is building a prototype for an IoT device we wish to create. We’ve dubbed it the TrashBeat trashcan. The result of his internship will be able to build upon the hard work of Robin and Lino. For now they are running in parallel of each other. What this means is that when the Office Smart Agent software is built and thoroughly tested, it can be implemented on the IoT smart Trashcan that Bert is building. This way, all three internship assignments will flow together in an impressive result that we’re all looking forward to seeing. His device determines the trashcans’ remaining capacity by measuring the free distance, using an ultrasound sensor, as a metric. 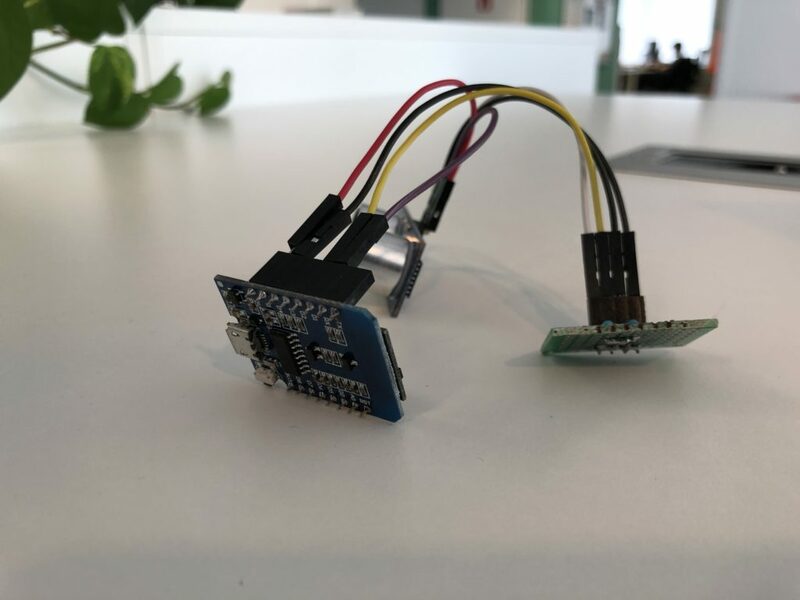 This sensor data is sent over MQTT (a lightweight messaging protocol, ideally suited for use by edge devices) to an MQTT broker on a Raspberry Pi. The next step for Bert is now to build a backend component which accepts, debounces and transforms the sensor data, and passes it along to a Kafka broker in the cloud. Another backend component, a Kafka consumer, is currently the most probable prime candidate to host the trashcan-emptying logic, deciding upon the need to trigger a ‘time to empty me’ – alert (as a Kafka event). 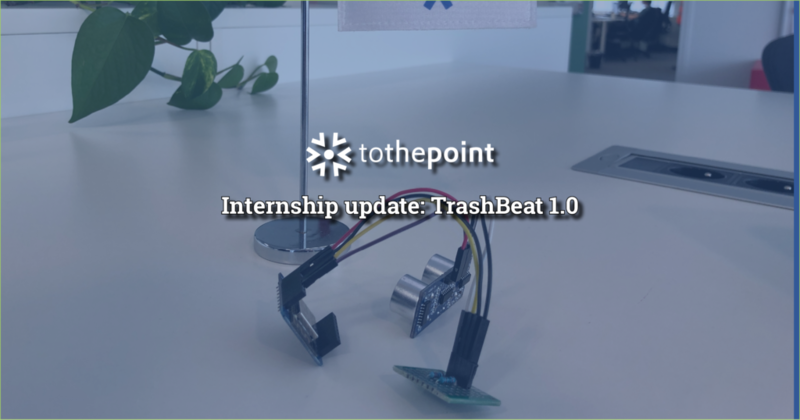 In fact, those events will be the actual triggers for the TurningPoint vehicle (https://tothepoint.group/news/turningpoint/) – on which Joris is working – to kick into action and take the trashcan, filled to the brim, to a collector station to be emptied.